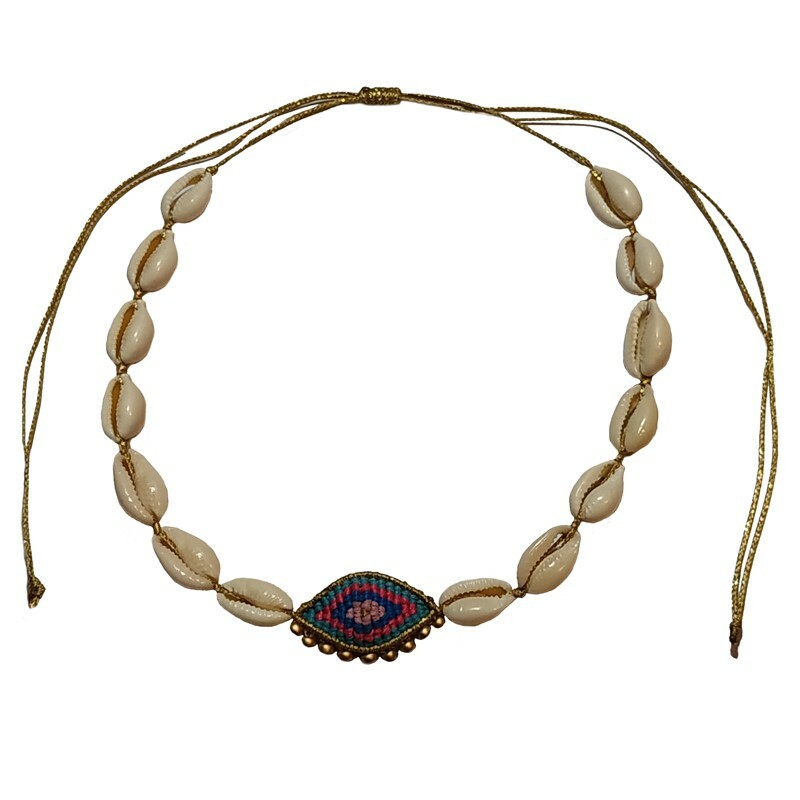 Handmade jewelry, boho style necklace made of golden wax string and white seashells 12x17mm with macrame ending. 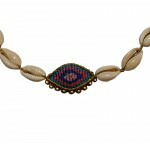 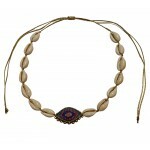 The necklace has also an evil eye knitted pendant 30x17mm. 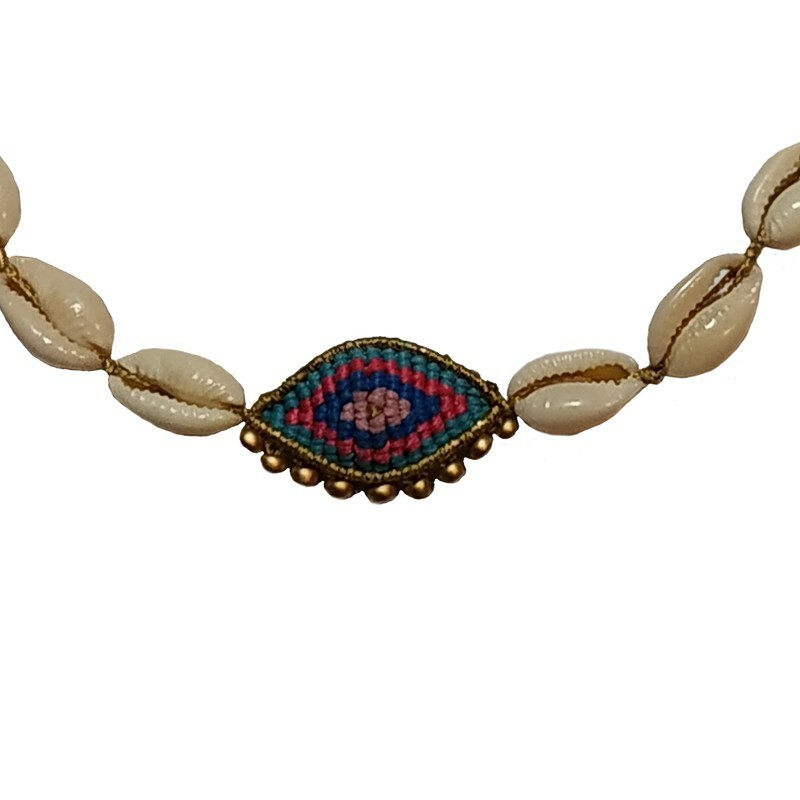 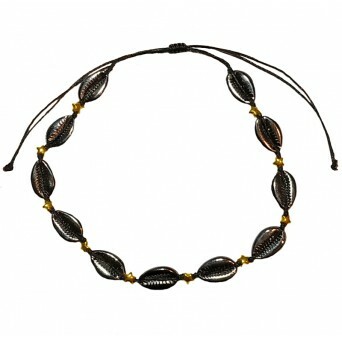 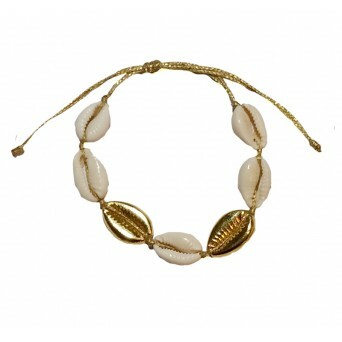 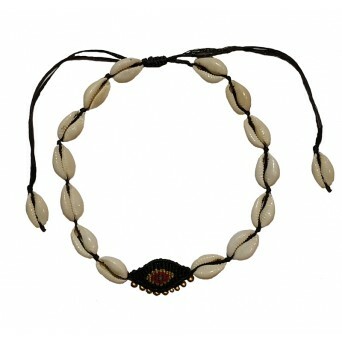 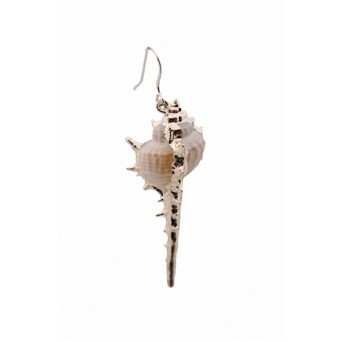 It can be worn as a long, a choker or a short necklace since its size is adjustable.